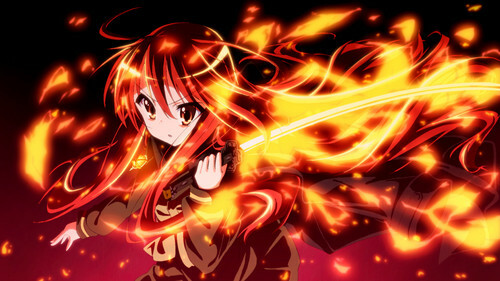 Shakugan No Shana. One of my favourite animes ^^. HD Wallpaper and background images in the kawaii anime club tagged: kawaii anime girls shakugan no shana fire cute. This kawaii anime photo might contain fuego, fuego, llamas, and infierno.